Including Dung Spreaders and Slurry Tankers. 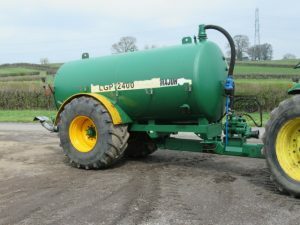 MAJOR LGP 2400 Tanker 2400 gallon tanker with sprung draw bar on 30.5 R32 wheels & tyres; very tidy tanker. MARSHALL MS105 Rotor Spreader Rotor spreader with flotation tyres; 2011. MARSHALL MS90 Rotor Spreader Rotor spreader; 2008. 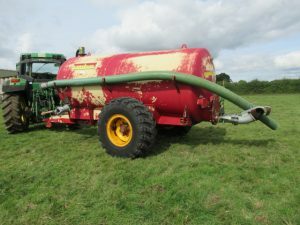 MARSHALL 1500 Gallon Slurry Tanker 1500 Gallon slurry tanker with auto load system; 2003. MILLCREEK Dung Spreader PTO dung spreader with 4ft6” x 8ft body and 3ft loading height; hardly used. RUSCON 1800 Gallon Slurry Tanker 1800 gallon slurry tanker. HILLAM 150 Rotating Barrel Spreader Rotating barrel spreader. 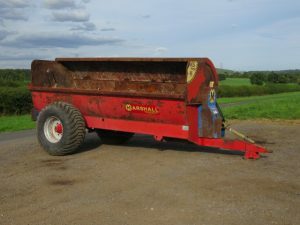 MARSHALL MS90 Rotor Spreader 9cu yd Rotor Spreader; 2009.